From the time of Albertus Magnus, medieval commentators on Aristotle regularly used a passage from Meteorology 1.2 as evidence that the stars and planets influence and even govern terrestrial events. Many of these commentators integrated their readings of this work with the view that planetary conjunctions were causes of significant changes in human affairs. By the end of the sixteenth century, Italian Aristotelian commentators and astrologers alike deemed this passage as authoritative for the integration of astrology with natural philosophy. Giovanni Pico della Mirandola, however, criticized this reading, contending that Aristotle never used the science of the stars to explain meteorological phenomena. While some Italian commentators, such as Pietro Pomponazzi dismissed Pico’s contentions, by the middle of the sixteenth century many reevaluated the medieval integration. This reevaluation culminated in Cesare Cremonini, who put forth an extensive critique of astrology in which he argued against the idea of occult causation and celestial influence, as he tried to rid Aristotelianism of its medieval legacy. 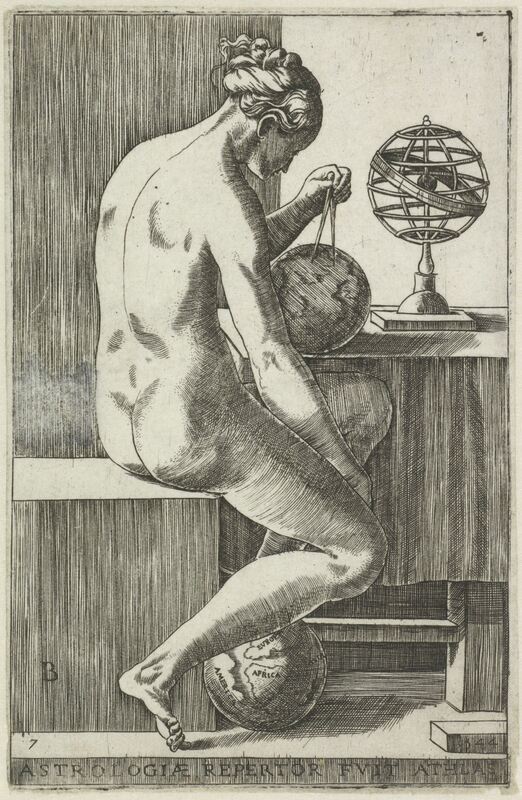 Image: Astrologia (1544) by Giulio Bonasone after Raphael. Courtesy of the Rijksmuseum, Amsterdam. This entry was posted in Lectures, Uncategorized. Bookmark the permalink.